As today is International Women’s Day, it seems like the right time to take a look at women’s place in the art world. It’s the twenty-first century, there are lots of women artists now, right? Well yes. Up to a point. Tacita Dean’s work is in the Turbine Hall of Tate Modern at the moment and the big exhibition is of the work of Yayoi Kusama. Perhaps all’s right with the world? Clearly, it wasn’t ever thus. In 1989 the Guerrilla Girls, an anonymous group of women artists and the self-styled ‘conscience of the art world’, conducted an audit of the work on display on the Modern Art sections of the Metropolitan Museum in New York. The statistics really weren’t good. Only 5% of the artists were female but 85% of the nudes were. No matter how familiar we are with art history and the dominance of male artists, that’s still a pretty shocking figure, especially since the group had specifically restricted their attention to the modern art sections where things might be expected to be a bit less bad. Surely by now things have changed? International Women’s Day should long since have been an irrelevance, sadly it looks set to be with us for quite some time to come. Whether we will ever reach a point of real equality only time will tell but clearly for the moment there are still battles to be fought and the Guerrilla Girls’ feminist agenda is as relevant as ever. 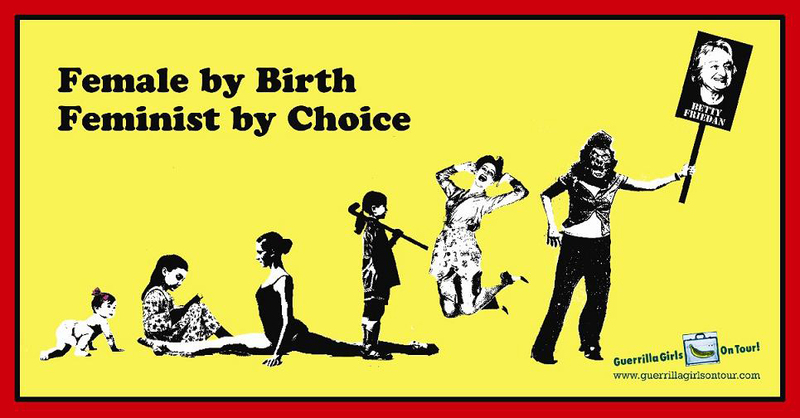 This entry was posted in Identity, Politics, Public Art and tagged advertising, art, feminism, graphics, Guerrilla Girls, International Women's Day, posters by Ann Jones. Bookmark the permalink. Thank you for this post. 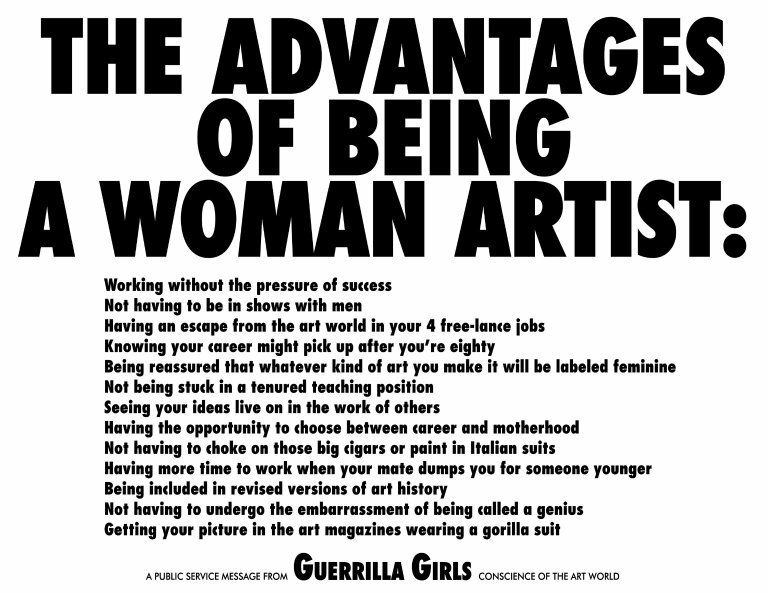 I actually did not realize that there was a Guerilla Girls poster from 2005. When I saw it being posted around the Internet, I assumed that a new generation had discovered the one from 1989. How delightfully naïve. Clearly we could do with more discussions about women’s contribution to contemporary art, but I long for the day when women no longer need an extra qualifier to go next to the description “artist”. Me too! And I think we are probably getting closer to that in terms of contemporary art but we’re not there yet.